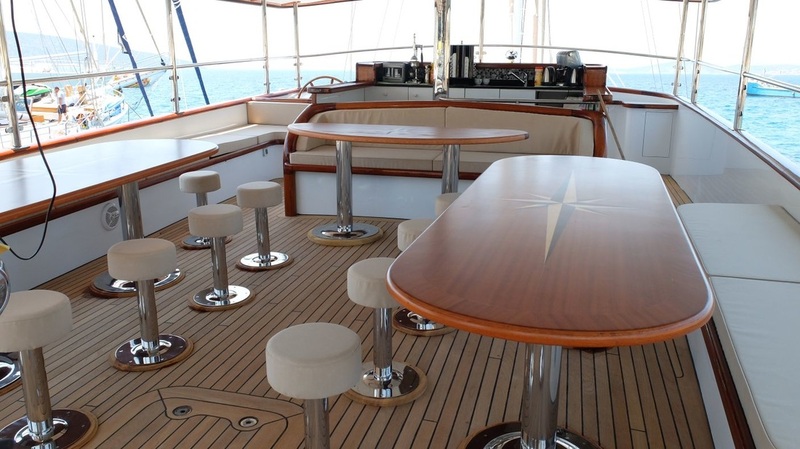 Larger gulets are perfect for groups, family reunions, weddings and other celebrations. 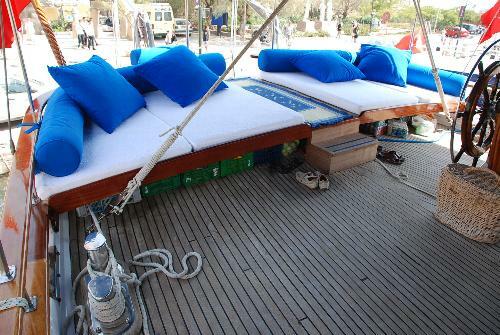 We offer an 8, 9, 10 and a 12 cabin gulet. 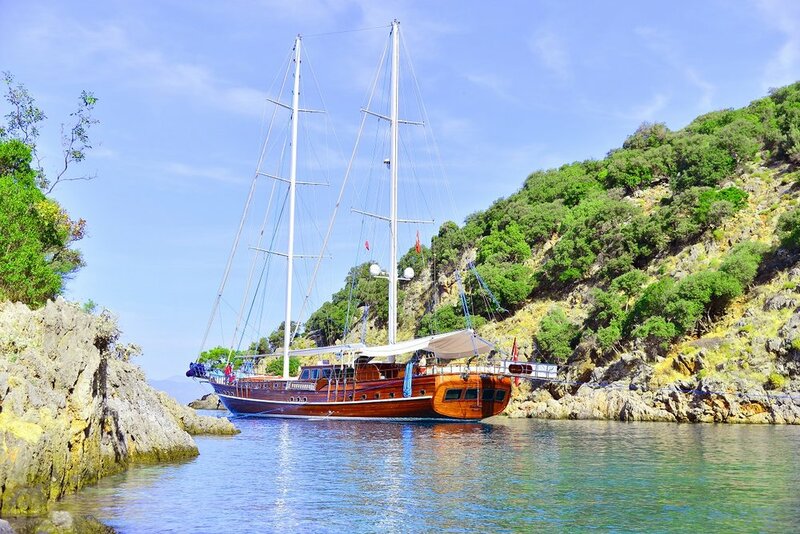 Not all gulets that take more than 12 guests can cruise in Greece, so this is an important factor to keep in mind if Greece will be part of your itinerary. 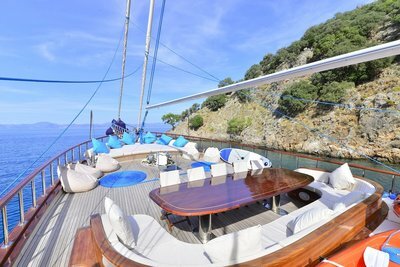 This stunning, 37 meter beauty was launched in 2015, and has immediately become one of the most sought after gulets for larger groups. 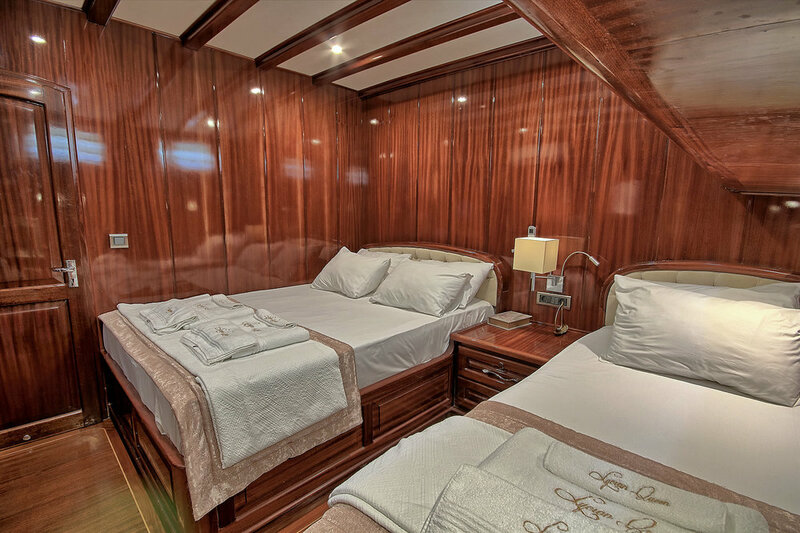 With 8 cabins for up to 18 persons, Lycian Queen can also sail the Dodecanese Greek Islands in complete comfort and speed with her twin engines. Every comfort is available, including a full array of water toys. 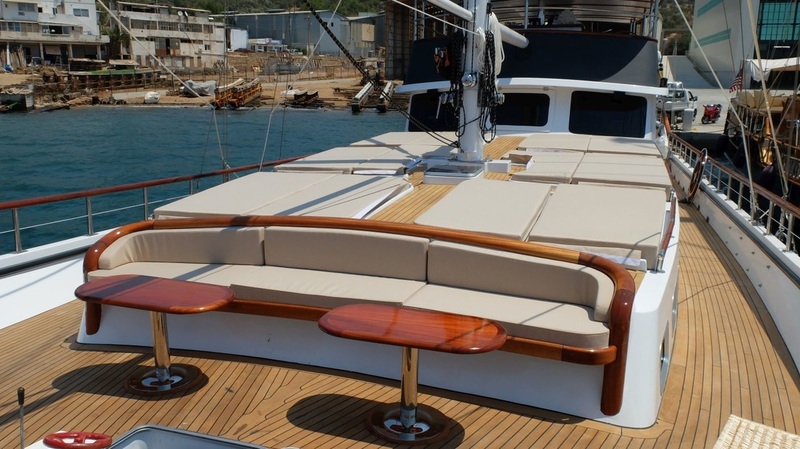 Her design features both traditional wooden gulet elements including a beautiful, highly varnished finished, as well as all of the latest high technology equipment and electronics. Lycian Queen prices range from 18,000 to 35,0000 Euro per day. 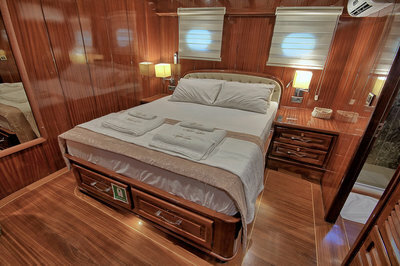 With eight cabins for up to 22 guests, M/S Oğuzbey is 33 meters long and a 2014 launch. 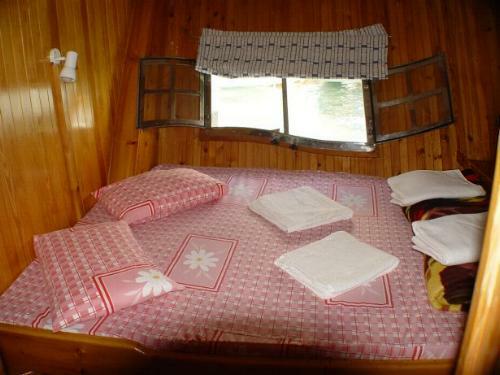 She has three different levels and seating groups, and is extremely comfortable and well lit throughout. The use of contemporary, light materials throughout gives this gulet a very clean, airy feel. Her crew of 7 are highly trained to look after large groups and English is spoken fluently by the captain. Oğuzbey is one of the few high-capacity gulets which can sail in Greek waters as well as along the Turkish coastline. Oğuzbey charters for 2400-3300 Euro per day for up to 26 guests. Send me more information on Oguzbey. 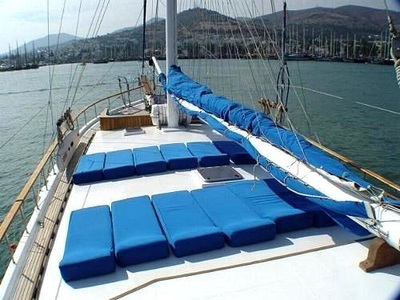 ﻿This extremely popular gulet is perfect for large groups who also wish to include Greek Islands, or to sail only in Europe. 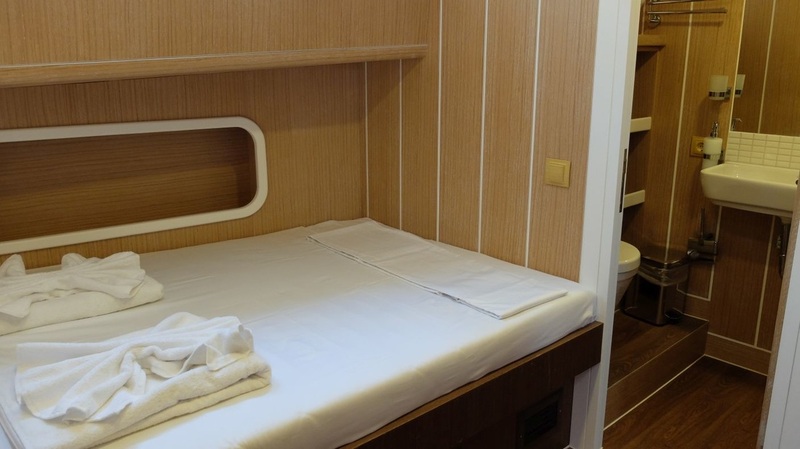 With two master and seven triple cabins, she can take up 18 persons and is ideal for several families travelling together, or for novelty cruises featuring lecturers or painting/cooking themes. Each cabin has its own ensuite facilities, air conditioning controls, and the yacht has had a major refit in 2014. Owner/Captain Hayati speaks just about textbook perfect English, and is a distinguished gentleman with many years of experience. Cemre IV charters for 1250-2200 Euro per day for up to 18 guests. 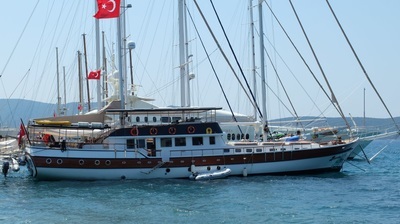 A most unique gulet, Aegean Clipper is 32 meters long with 11 cabins for up to 20 persons. 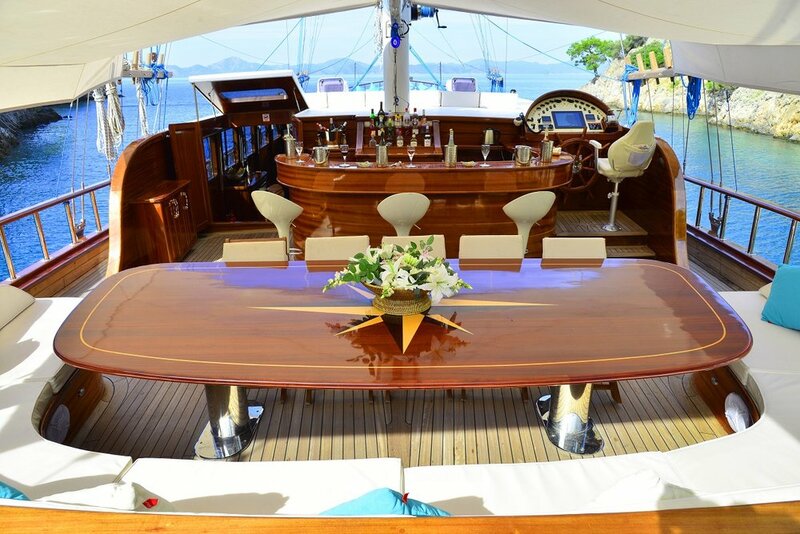 She is an excellent choice for large groups, celebrations and wedding ceremonies. Owner and captain Ergun Malatya is a true character, for which no situation is too challenging. 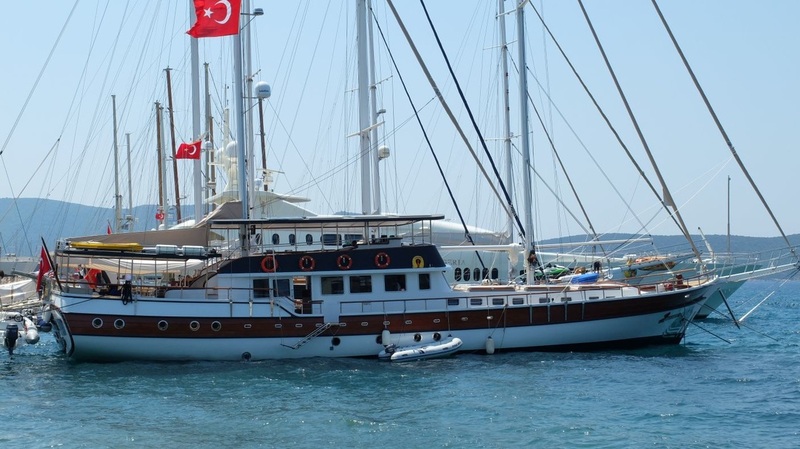 He speaks fluent English, German and conversational Greek, and this is one of the few gulets that is classified as a ship, thus being able to take large groups into the Greek Islands. There are 8 twin and four double cabins, all with ensuite facilities and individual air conditioning controls. 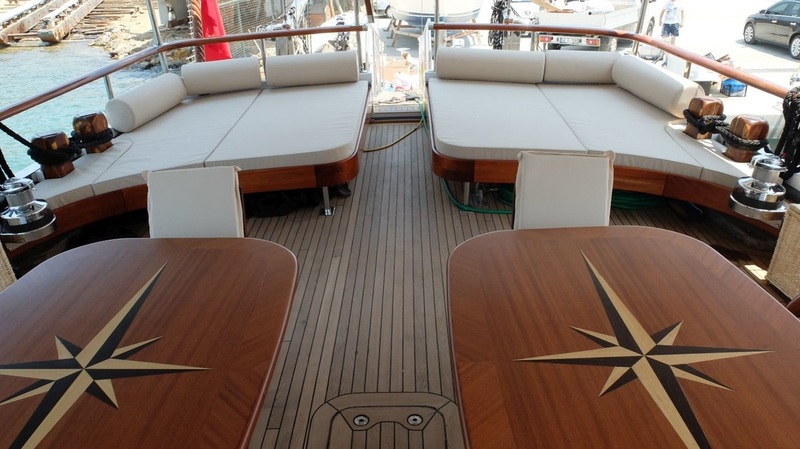 The flybridge is extremely roomy, and there are three separate dining areas on board, including a spacious indoor saloon. Another remarkable feature of Aegean Clipper is that she performs beautifully under sail, and Ergun Captain loves to hoist the rags. Aegean Clipper charter rates are 1500-3000 Euro per day for up to 24 guests. 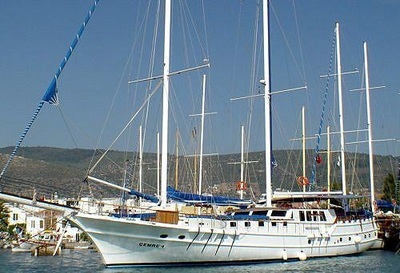 Send me more information on Aegean Clipper.